FMCG stocks are seeing re-rating post-stellar results from majors like Hindustan Unilever, ITC, Britannia, Nestle India and Godrej Consumer Products. Top brokerages now hold a bullish outlook on the fast moving consumer goods (FMCG) sector and have revised up price targets for the stocks in this space, encouraged by management commentaries that accompanied fourth quarter earnings. Tech-nical factors also favour FMCG stocks. The sector has seen a significant turnaround this year after turning in below par growth for two previous years. The sector posted its slowest revenue growth at 4 per cent CAGR in FY15 and FY16 compared to the compound annual growth rate (CAGR) of 13 per cent in the prior decade, said an HDFC Securities report. Two years of deficient monsoon and unprecedented events like demonetisation and GST had bruised the sector. The scenario has now changed for the companies in this space, with the pains of demonetisation and GST implementation receding and the benefits of GST kicking in. Analysts are betting big on the consumption theme and sees the FMCG sector as the perfect proxy for consumption-led growth. Angel Broking observed stellar moves in marquee FMCG counters after Hindustan Unilever (HUL) announced its quarterly numbers. From Parag Milk Food to GSK Consumer Healthcare, ITC, Nestle, Britannia and Godrej Consumer Prod-ucts, all have reported Street-beating earnings for the fourth quarter. The FMCG market is dominated by household and personal care segments, which make up 50 per cent of the overall market. Hair care (23 per cent) and food & beverages (19 per cent) come next in terms of market share. Emerging specialty categories like hand wash, face wash, liquid detergents, fabric softeners and hair crème are all growing fast, says Anita Gandhi, whole time director, Arihant Capital Markets. Going ahead, rating agency Crisil sees revenue growth in the Rs 3.4-lakh crore sector rising 300-400 basis points to around 11-12 per cent in this fiscal from around 8 per cent in the last fiscal, driven by a revival in rural demand and new product launches. Disposable incomes and demand would rise on the back of higher minimum support prices for crops, more non-agriculture rural employment, and expectation of adequate monsoon, Crisil said. “Continuing product launches and greater acceptance of ayurvedic and herbal products will also help. Growth in FMCG revenue from the rural segment (around 40-45 per cent of FMCG revenues) will improve to 15-16 per cent in fiscal 2019 compared with around 10 per cent estimated for fiscal 2018,” Crisil said. But revenue growth may not be uniform across companies. Mid-sized and large firms with revenues of over Rs 250 crore and Rs 1,000 crore will have an edge in the market because of better operating efficiencies arising from GST implementation. “Large firms are seen growing top lines 300-400 basis points to 11-12 per cent in fiscal 2019 compared with 8 per cent in fiscal 2018, while mid-sized firms will continue to grow at 15-17 per cent on the back of wider geographical reach and customisation of products to regional preferences,” the rating agency said. “Given the prospects, we see large and mid-sized FMCG firms augmenting growth through two flanks: new launches and acquisitions,” said Anuj Sethi, senior director, Crisil Ratings. 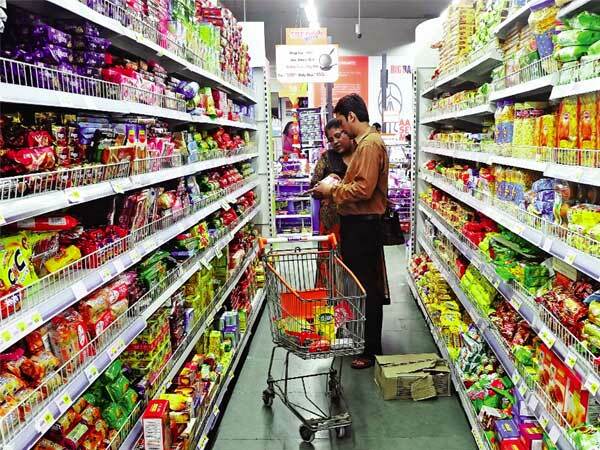 The retail market in India is estimated to reach $1.1 trillion by 2020 from $672 billion in 2016, with modern trade expected to grow at 20 per cent, which would boost revenues of FMCG companies. Tier-II India and rural India are seen driving retail growth with projections of good monsoon this year and disruptions of the past now behind, says Gandhi of Arihant. That seems reason enough for the market to wager on the prospects of FMCG companies.